Back in 2003, annoyed with his high school’s loyalty to paper and the inability to view his grades online as a result, Bri Holt decided to build his own online gradebook that any student or teacher could use for free. He eventually graduated and moved onto other things, and usually that’s the end of the story. But thanks to the dearth of digital tools in education, over the next seven-odd years, the simple gradebook app grew of its own accord, steadily gaining traction among teachers. The web app maintained enough of a following that by 2010 Holt decided to continue development and build it out into a more full-featured platform — and a company. Over the next year and a half, the app became Engrade and platform grew to 4.5 million users. Last summer, the “young” startup raised $3 million in seed funding from Rethink Education, NewSchools Ventures and others to accelerate that growth. Fast forward to today and Engrade has continued to morph, having turned its attention not just to helping schools connect and consolidate their many fragmented learning systems, but now districts as well. Through its new APIs, the cloud-based platform enables districts to integrate all of their data and learning resources, along with third-party apps and open education resources (OERs), accessing the lot via a single sign-on mechanism. 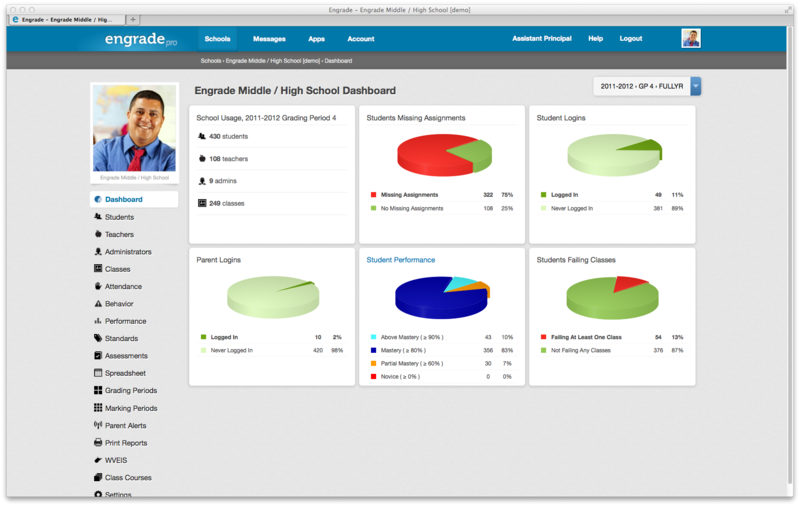 Behind its mission to create a sort of “one dashboard to rule them all” scenario, allowing districts to manage curriculum planning, instruction, assessment, evaluation and school-home communications, Engrade has since jumped to 6 million users worldwide and over 40,000 schools are now using its platform. Looking to accelerate its own development and expansion, Engrade today announced that it has raised $5 million in series B financing led by Javelin Venture Partners, with contributions from existing investors including ReThink Education, Kapor Capital, Expansion Venture Capital and Ed-Mentor, along with a new investor and less familiar name in EdTech, Samsung Venture Investment Corporation. All told, Engrade has raised $8 million in outside funding to date. Going forward, the startup says that it plans to expand its staff (which doubled last year) and build out more advanced tools for cross-platform content and student data management.